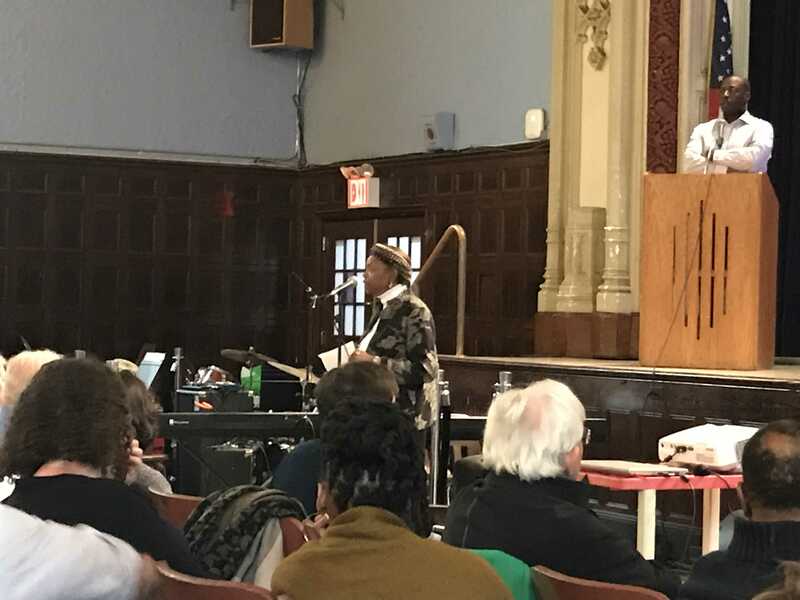 FORT GREENE – Brooklyn Community Board 2 hosted the first ULURP public hearing for the Brooklyn Detention Center Thursday at Bishop Loughlin Memorial High School in Fort Greene. Last month the NYC Planning Commission approved the ULURP (Uniform Land Use Review Procedure) application for the Mayor’s NYC Borough-Based Jail System plan, allowing the public review process to begin. 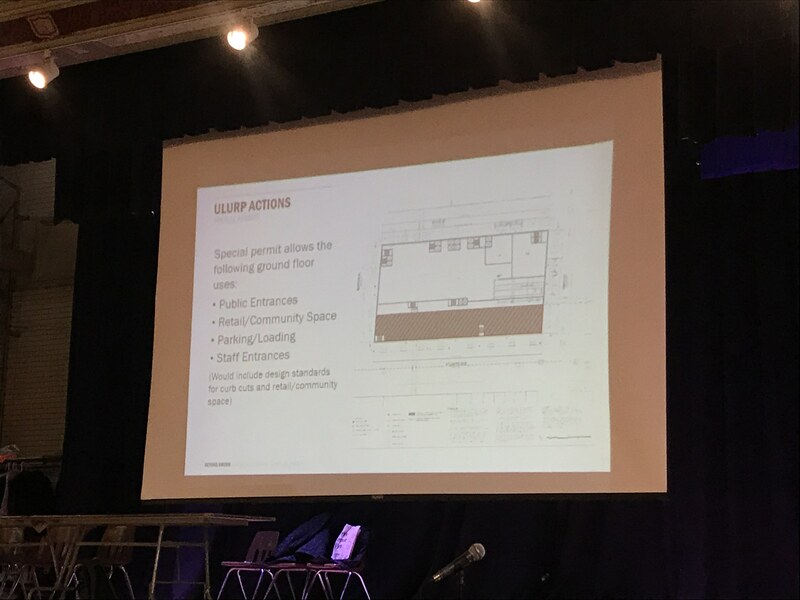 As part of the ULURP process, community members have the opportunity to give feedback on the city’s plan which includes demolishing and expanding the Brooklyn Detention Center at 275 Atlantic Avenue in Boerum Hill. Mayor de Blasio committed in 2017 to close Rikers Island by 2027 and replace the facility with four new or renovated “modern and humane” borough-based jails in Brooklyn, the Bronx, Manhattan, and Queens. The plan would reduce the current jail population from 7,800 to 5,000 and house individuals in smaller facilities closer to courthouses, healthcare facilities, and detainees’ families, according to the city. If the proposed plan is approved, the Brooklyn Detention Center will be rebuilt to a height of 395 feet with capacity for 1,437 individuals. The building will feature 30,000 square feet of ground-level community and/or commercial space (along Boerum Place, Atlantic Avenue, and Smith Street) as well as parking for 292 employees. 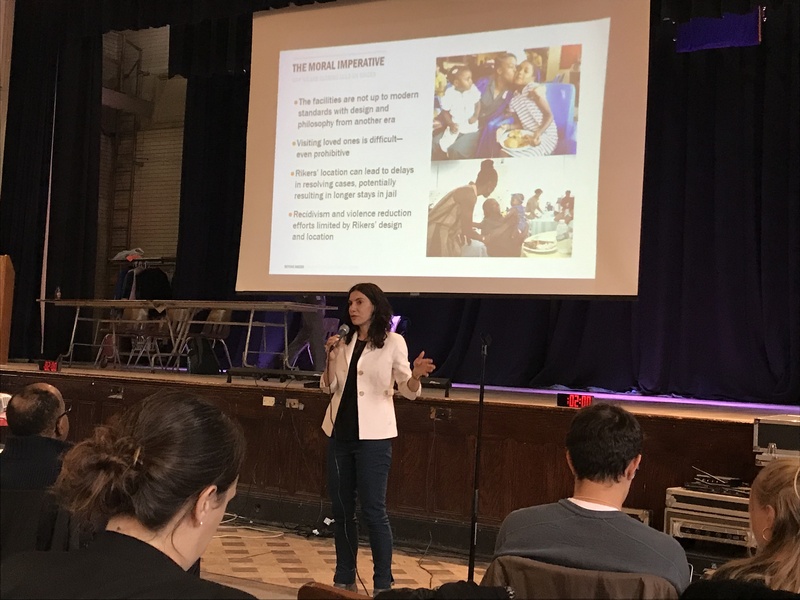 Dana Kaplan, Deputy Director, NYC Mayor’s Office of Criminal Justice and Dana Wax of the NYC Department of Corrections started Thursday’s meeting with a review of the overall Borough-Based Jail System plan. The city would also apply the borough-based jail permit to request a city map change on State Street, “to de-map volumes below and above State Street,” Tigani said. While there will be no changes to the pedestrian and vehicular traffic on State, the request would allow for an underground connection from the detention facility to the courthouse across the street. Senator Velmanette Montgomery, Assembly Member Jo Anne Simon, Council Member Stephen Levin, and a representative from NYC Comptroller Scott Stringer’s office were on hand to speak before the floor opened up to the public. Senator Montgomery thanked all of the advocates who traveled to Albany in support of the Discovery, Speedy Trial, and Bail Reform initiatives that were recently included in the New York State budget. The reforms are expected to reduce the number of incarcerated individuals—potentially decreasing the numbers below the Mayor’s 5,000 goal to 3,500. “Do what you promised to do. You said that you were going to improve the system by making smaller community facilities. Live up to your promise,” the Senator said Thursday evening. 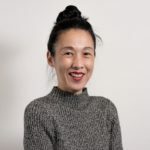 “Based on the actions of the state legislature and current City initiatives to reduce the jail population, there is no reason we should build larger jails in our communities,” the Senator wrote in a letter to Mayor de Blasio dated April 4, 2019. Assembly Member Simon joined Montgomery in asking the city to “submit an alternative proposal that reflects an average daily jail population of 3,500,” which will “more accurately reflect what the criminal justice landscape will look like in the next few years,” the letter continues. They also requested that the City’s plan be revised to include resources for underserved communities including education, job, and mental health services. “Expanding the successful model of the community courts created by The Center for Court Innovation and implementing neighborhood policing in conjunction with the NYPD will help create more alternatives to incarceration,” the letter notes. “Why are we focusing on the façades of the prisons? Why are we not focusing on preventing people from going to prison in the first place?” he asked. “We need to take that money that’s being wasted on having innocent people detained pre-trial without a conviction…and instead use it for preventative programs by investing in our communities and schools,” she said, suggesting alternatives to incarceration, job training sites, medical facilities, housing, mental health centers, and gardens. 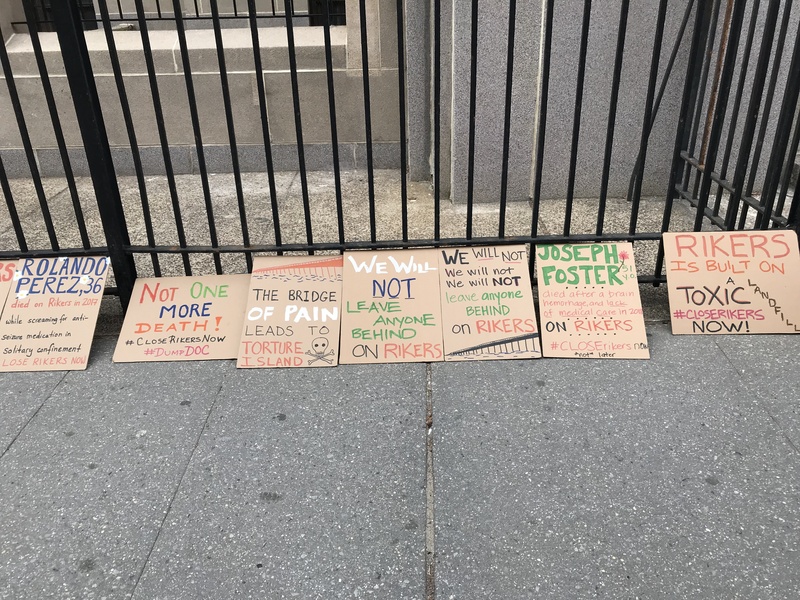 Of the dozens of people who spoke at the hearing, all said that Rikers needs to be closed. While some suggested scaling down the proposed Brooklyn facility, others countered that no new jails need to be built. “Our group looked at the criminal justice system in NYC and concluded that there were too many people who were incarcerated,” said Tyler Nimms, Executive Director of the Lippman Commission. The independent commission that advocates for criminal justice and incarceration reforms released a report in April 2017 that recommends closing Rikers Island. “We also concluded that the nine jails on Rikers Island were a stain on NYC and it had to be shut down. 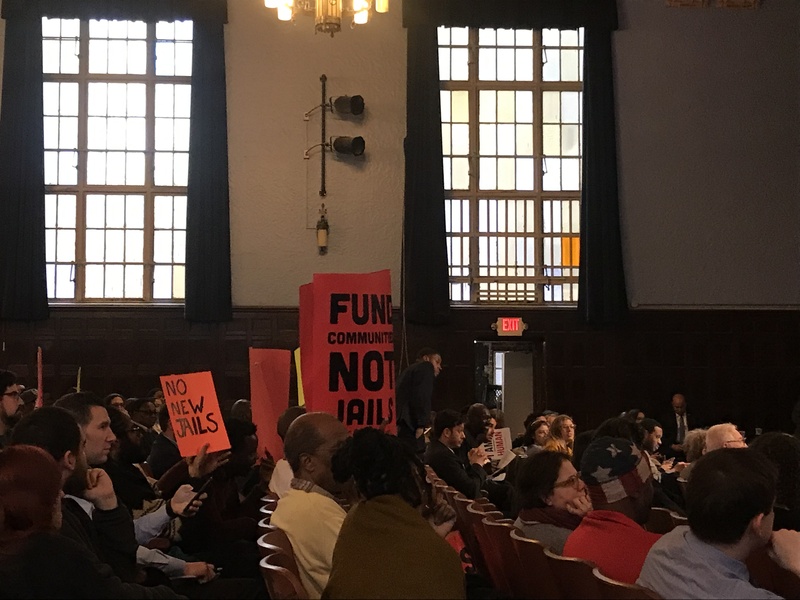 We believe that a smaller system of jails for a much smaller number of people, one in each borough, is a chance to break with the past and hopefully to shift closer to a justice system that lives up to its name,” Nimms continued. “The number of people inside should be reduced further…. And the way the jails operate has to be changed. But this process is absolutely critical. If it fails, the jails on Rikers Island will almost certainly remain open for generations to come,” he concluded. Brooklyn Community Board 2 has 60 days to collect public feedback and issue a recommendation on the plan. Brooklyn Borough President Eric Adams will then have 30 days to hold a public hearing and make his recommendation. The City Planning Commission will then have 60 days to host a public hearing and follow-up reviews before voting on the plan. The City Council will then have 50 days to review and vote. “I think all of you know that the Council has a role in this ULURP process at the back end…,” said Council Member Levin, whose District 33 includes the Atlantic Avenue Detention Center site. “My practice for ULURPs is to not really comment too much on the application at the community board or the borough president or city planning commission because we’re going to be having our own hearing about this in a matter of months,” he explained. 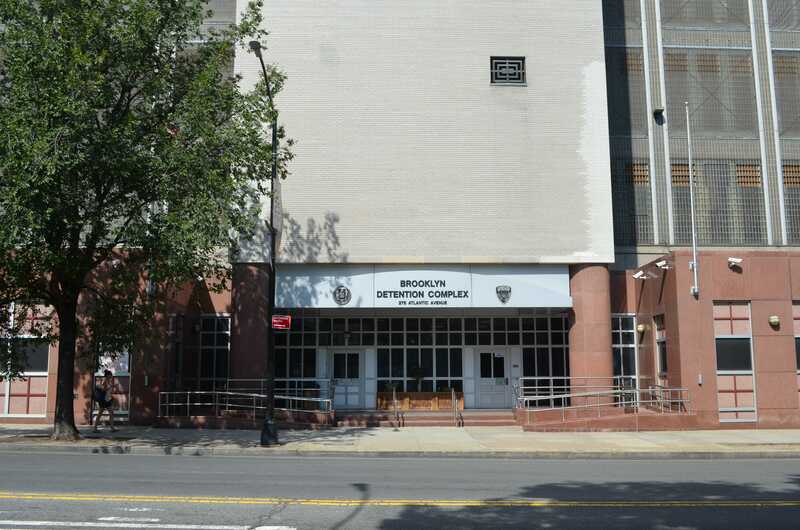 Brooklyn Community Board 2 will discuss the Borough-Based Jail System ULURP application next at its Land Use Committee meeting on Wednesday, April 17 at 6pm at NYU Tandon School of Engineering, Dibner Building, Room LC400, 5 Metro Tech Center. Rikers Island should remain open. Reform the NYCDOC but keep the jails on easy to control, isolated Rikers Island. I understand why the city want to rebuild the existing Bklyn Detention Facility but it might be cheaper in the long run to build a totally new jail in Brownsville or East New York where land is cheaper and where more of the prisoners come from anyway. Criminals don’t need to be pampered. Close Rikers – build a new runway for LaGuardia airport. Look at the map – this is the planned use. More noise, pollution and traffic for Queens.